Dani Pedrosa is hoping he will get some new parts from Honda in time for this week’s Phillip Island test in a bid to spark some momentum into his 2007 pre-season campaign. 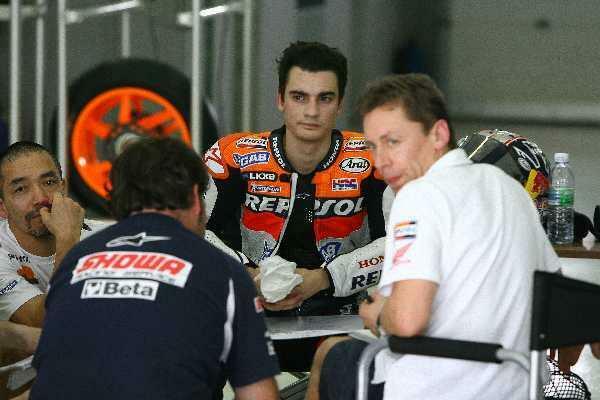 The Spaniard was surprisingly off the pace recently at the first winter test of ’07 in Sepang, and was hoping for a turnaround in fortunes in Australia as Honda plays catch-up to its premier class rivals. Honda’s current problems centre around a lack of horsepower and engine braking troubles that have drawn widespread criticism from all of its MotoGP riders. “I don’t know the plan. We have to analyse because other riders from Honda also had some problems. Mainly I think it is electronics. But this is normal because we are still in January. We don’t have so much time but I think still we have enough to improve.